With an assignment of writing a personal reflection of my past 4 years at MSU, I’m sitting here with a blank page and a million things to say, yet I can’t seem to move my fingers across the keyboard. Maybe it’s because I’m in denial that I’m graduating. Maybe it’s because I’m excited or actually very sad. 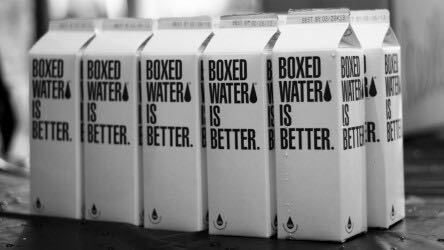 Maybe it’s all the above. I’ll start here – my time here at MSU has been everything that I had ever hoped for and much, much more. From crying because I didn’t want to leave my mom and sister behind when I moved into the dorms to now tearing up writing this article because I don’t want to leave Mankato, it’s been quite the ride. In high school, I was an incredibly shy and quiet girl who didn’t know her place. When I tell people that now, they don’t believe me for a second. I have MSU to thank for turning me into an independent, enthusiastic, social human being who found a passion for leadership. Of course, learning these things didn’t come easy, however, I got extremely lucky with my journey. Being involved with MSU was one of the greatest decisions that I’ve made. Whether my time was being dedicated to my studies, Greek Life, Dance Marathon or the CSU, every long-hour day and sleepless night was worth it. With my involvement, I met the most influential people that this campus has to offer. From their teachings, I have become someone who I, myself, have become proud of. The most important thing that I’ve learned is that growth only comes from being uncomfortable. From making friends, pursuing relationships and taking on leadership roles, stepping out of my comfort zone gave me my most cherished items and people. Yes, we’re here in college to get a degree, but our time here is so much more than that. It’s about learning what it takes to succeed. It’s about learning how to get back on our feet after being down. It’s about meeting people we connect with. It’s about finding our lifelong friends and people who will be in our weddings. It’s about meeting those who we want to go into business with or spend the rest of our lives with. I’d like to thank my freshman dorm neighbor who ultimately was responsible for breaking open my shell. To my squad who took me in as one of the “bros”, thank you for looking out for me the past 4 years. To my sorority best friends and roommates, thank you for being the best dang comedians, therapists and dancers that Mankato EVER saw. Thank you to my mom and sister for always being of constant support. And of course, thank you to my professors, advisors, mentors and co-workers at the CSU – you’ve all taught me so much. But mostly, I’d like to thank myself for the allowance of being open to different opportunities and endeavors. I hold very high hopes of the future and I know that I can achieve them because of the valuable time that I’ve spent on this campus. When you’re in my shoes, a week shy of graduation, I know that you all will feel the same way. Minnesota State, Mankato campus is packed with great places to go number two. While most of us would rather be in the comfort of our homes while dropping the kids off at the pool, we have classes to attend. Luckily, there is a variety of different bathrooms at MSU. The library may have plenty of reading material, but some people need more seclusion while letting the dogs out. 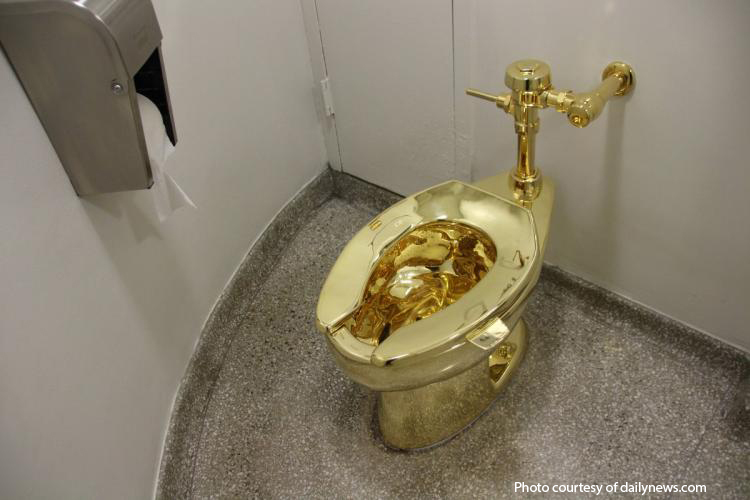 Individual restrooms are a must if you’re having a true emergency. Unfortunately, even single occupancy lavatories can have their downsides. If you haven’t found the best spot in school to take a royal squat, take a long walk around campus when you get the chance. It’s best to have a strategy before duty calls. There is something mystifying to me about sitting in a library surrounded by mountains stories and philosophies I have no knowledge of. Even more so when it’s pitch black outside, a cup of black coffee in hand, in one of the unoccupied corners of the second floor of the Memorial Library. I spent hours ignoring homework in exchange for hours of being lost between the dusty pages of James Joyce, Ernest Hemmingway, Edgar Allan Poe and countless others. It made studying the next day a rigorous, hurried process, but I feel nighttime in the library is when and where I learned most. My final semester at MSU has been my best yet as I’ve worked with some really great people to deliver weekly events and news through the MSU newsletter, inSIDER. I came to MSU as a marketing major and realized my talents laid in writing to the masses, not selling to them. The inSIDER has evolved my writing in a way I didn’t expect and I was able to have a blast with fellow writers and mentors while doing it. If you’re looking for an internship in writing next year, talk to Leonard Koupal in the CSU. He’s the man! Mass media and English department professors at MSU are a large part of the reason I was able to keep a positive attitude with my schooling and my future. While they are the ones that assigned 10-page papers and at times asked class to read an entire book in one day, those hurdles taught the most. They have always been up for a chat about class discussion, travel, food and anything in between. There’s nothing quite like the beginning of a new school year. As the trees burst into reds and oranges, the MSU campus’ artistic, monumental and memorial decorations give the campus a nostalgic feel. Students sport purple and yellow as Blakeslee Stadium rumbles on the other side of Stadium Rd. Minnesota autumn is second to none, but I suppose the beginning of May isn’t such a bad time of the school year either. Growing up in Kilkenny—a town of 108 people—and moving to Mankato opened my eyes in so many ways. I met people who have helped me grow academically, spiritually and culturally. I’ve met friends that made class not only knowledgeable but fun. I’ll miss walking through the halls seeing all the friendly faces. No matter what I do after graduation, I’ll always be proud to have been a MSU Maverick. Sleeping all of your problems away. Your problems and stress can’t hurt or affect you if you’re sleeping, right? Everything will be just fine once you wake up. It’s okay to let it all out. Finals are one of those times when life comes at you really fast and it can be overwhelming. Sometimes the best thing to do is to let the waterworks operate at full capacity. Sometimes you think you just need a change of scenery; this college town just isn’t doing it. The professors stink, you haven’t found the perfect best friend and you’re just not happy and feel like you need a fresh start. Dropping out. There are two types of college students in the world – those who have thought about dropping out because of stress…and liars. It’s a normal feeling. Everything piles up and it just feels like you’ll never get it done and the only remaining solution is to quit and give up. Here’s the thing though, it’s all going to be okay. Finals are stressful and have the tendency to be overwhelming and chances are you probably will think about some of those things above.. and that’s okay, just don’t let it consume you. Instead, use some of these tips to help you push through and get to the summer with a smile on your face! Take breaks. Don’t over exhaust yourself with endless hours of studying. Hop on YouTube and watch a funny cat video. Grab some friends and take a walk outside. Blast some music. Take a power nap. Eat a snack. Just give your mind a break and decompress a little bit for 20-30 minutes and get back at it. Studies have shown that taking breaks actually helps you do better, so don’t hesitate to take one. Form a study group. Whether it’s with your roommates or classmates, find some people to bounce ideas off of and help you study. It keeps the mood light and makes studying a little more fun. One of the best ways to solidify that you know something is being able to teach someone else. Explain to your roommate something they know nothing about and see if they understand. Have your classmate run some flashcards by you, so you can nail those definitions. Visit a tutor. Campuses always offer lots of tutors to help you with whatever you might be struggling with. Asking for help doesn’t make you look bad or like you’re dumb. It shows you’re serious about your education and that you want to learn. Visit a tutor so you can get the knowledge and resources you need to get a good grade on your final exam. Talk to your professor. Professors are there to help you learn. If you get stuck or start to freak out about your tests, stop into their office hours and ask for some help or about what specific material you should look over. Chances are they will be able to help you and you’ll be more prepared when test day rolls around. Don’t be afraid of a bad score. Everyone has had a bad test at some point in their life. Don’t let it define you. You can always retake a class. That one test will not be a difference maker in the rest of your life. Just take a deep breath, realize it’s going to be okay and work hard to do better the next time around. So to summarize, it’s okay to feel a little stressed about finals and like you want to quit school and give up, but just remember to relax, take breaks and use your resources. You’ll get through them and be on your way the next chapter of your life — you got this! This year is all about traditions and anniversaries. Alongside the University’s 150th and the Centennial Student Unions 50th celebrations, the LGBT Center hosted their 40thanniversary this past week. Back when it was still Mankato State, the University became the second school in the nation to have a campus-based LGBT Center. In 1977, the “Alternative Lifestyle Center” was found with only a few student volunteers and a graduate assistant as part of their staff. Now, the landmark LGBT Center has an independent office, a full-time coordinator, Jessica Flatequal, and hundreds of students who visit the Center each week. One student, Graham Waitt, is especially thankful for the LGBT Center this year. As a nontraditional student who felt lost in school, he joined the LGBT Center and never looked back. Like many other students, Graham didn’t find the comfort of the LGBT Center right away. As a freshman on campus, he didn’t feel comfortable enough to go into the Center or to volunteer. When returning to Minnesota State Mankato after taking time off, he knew that he didn’t want to let a second chance pass him by. After meeting a close friend in Residential Life who ultimately invited Waitt to join her in the Center, he found himself visiting frequently and making friends. “It was one of the best decisions that I ever made in college,” Graham said. Joining the LGBT Center provides endless opportunities for students. 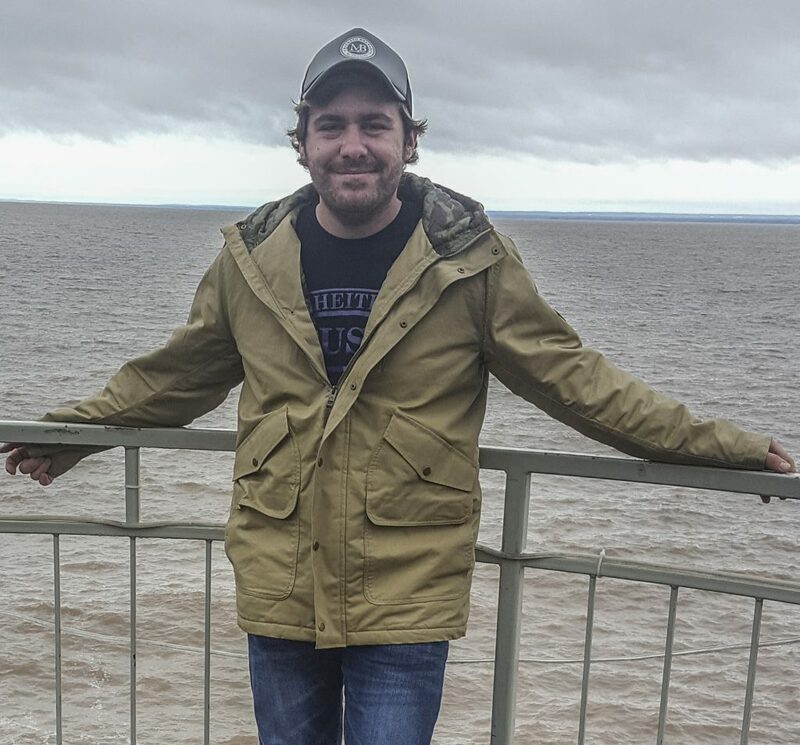 For Graham, it’s given him the opportunity to get out in the community and give back. 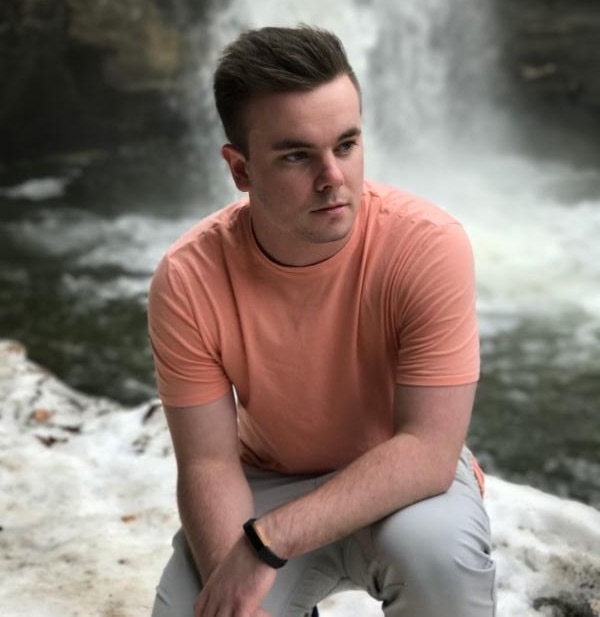 He’s been able to attend several LGBT conferences around the Midwest and was given chances to be a speaker at peer panels to educate the community on LGBT-specific issues. He also has had the privilege to help with campus Drag Shows and Mankato Pride. Graham is not only an advocate for the LGBT Center and community, but an advocate for finding your true self. “That’s what we all want in the end, right?” he stated. To learn more about the LGBT Center on campus, visit https://www.mnsu.edu/lgbtc. Students and female athletes made a powerful statement April 16 when they began their “See Us” campaign at Minnesota State Mankato. “The campaign’s purpose is to spread awareness of the underrepresentation, sexualization and judgements made toward female athletes based on their appearances rather than talented abilities,” said Callie Rohlik, the head of MSU’s campaign. Rohlik and her group of fellow honors program members, Olivia Thomas, Samuel Oluwadoromi and Mellary Jayathunge, got the idea from Courtney Place, a student-athlete from Augustana University in Sioux Falls, S. D., who started the campaign at her school a few months ago. “’See Us’ had been getting an increasing recognition from female athletes and supporters throughout southwestern Minnesota and I wanted to aid in her expansion by bringing it to MSU,” Rohlik said. 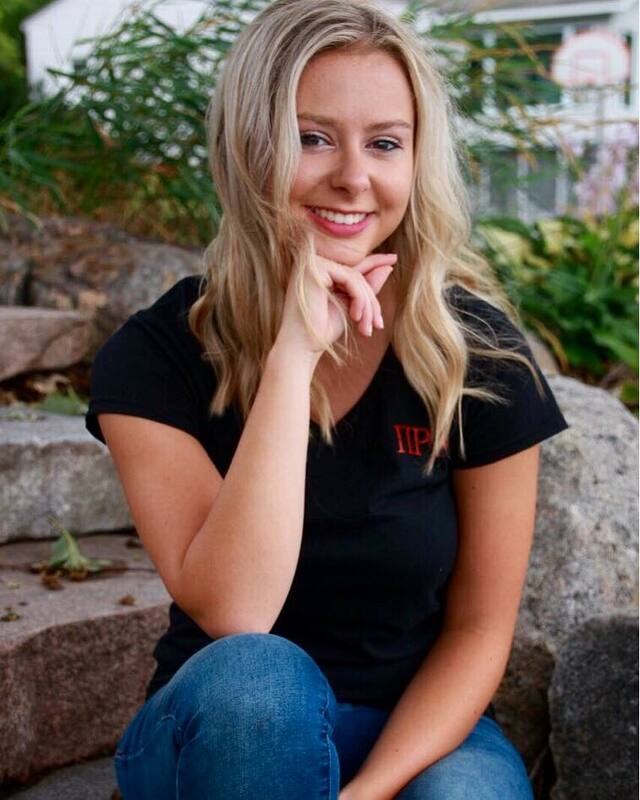 “An MSU softball athlete had served as a rep for her movement and I knew fellow female athletes at Minnesota State would love to join the movement as well. 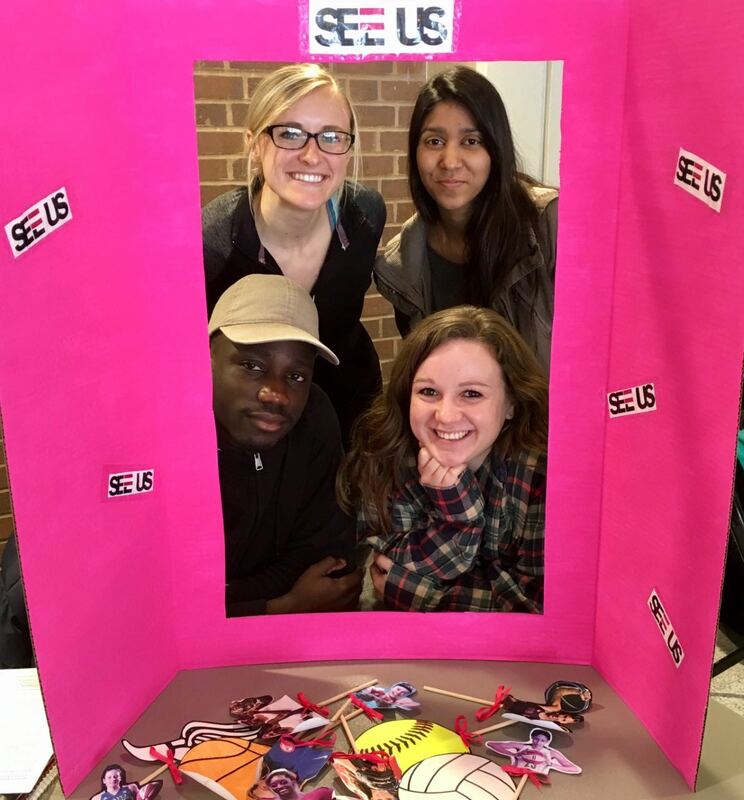 Rohlik, her group and athletes set up a table in the Centennial Student Union with a bright pink display board with the “See Us” logo surrounding an opening where athletes could pose for a picture, which was then sent to social media with the #SEEUS hashtag. 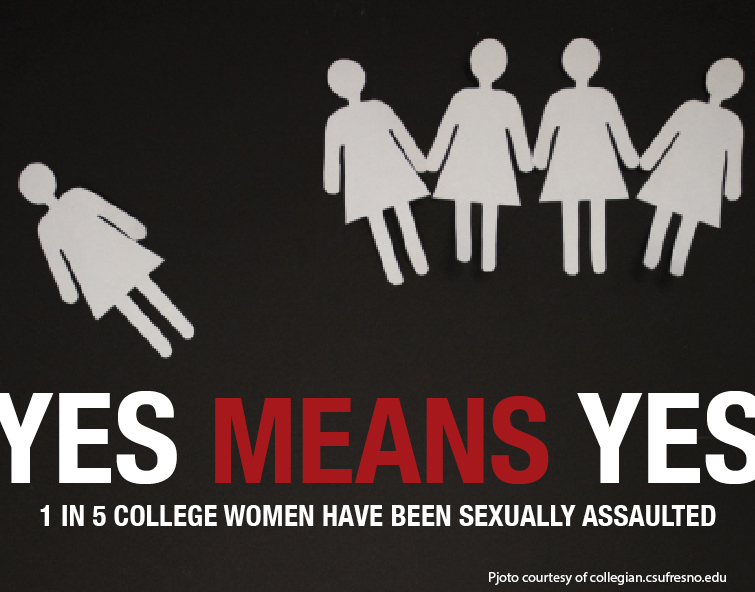 The campaign focus comes from various injustices female athletes face compared to male athletes. A study done by Cheryl Cooky and Nicole Lavoi that analyzed women’s sports after Title IX found that the media coverage for female athletics was only two percent of all news coverage in 2009. Rohlik expressed that injustice for female athletes doesn’t end with broadcast inequality. Rohlik says students can show support for the movement by following “See Us” on Facebook, Twitter and Instagram and by being active fans at female athletic events. Mankato, Minn.— The Fraternity & Sorority Community’s annual Greek Week officially ended Friday at Minnesota State University, Mankato. The theme of this year’s week was “Farewell to the 90s – Cartoon Edition,” and lasted from Monday, April 9-April 13. The sororities and fraternities competed in events to accumulate points for their respective chapters while giving back to the community. The events included a coin drive, won by Sigma Nu which resulted in more than $250.00 being donated to Habitat for Humanity. A Salvation Army clothing drive was also held. More than 4,000 items of clothing were donated. A popular event, the Cardboard Boat Regatta forced chapters to race boats made only from cardboard and duct tape across the Highland Center Pool was won by Alpha Chi Omega. 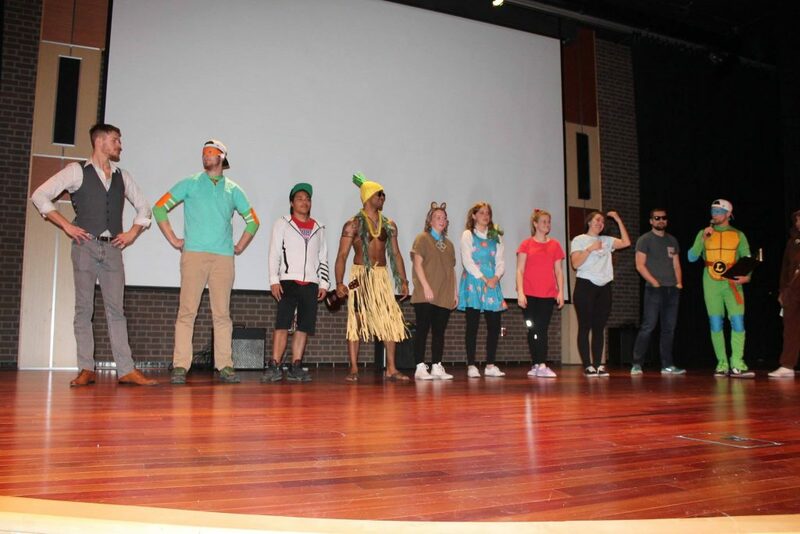 The much-anticipated lip sync competition was won by the men of Sigma Nu, and the Greek God and Goddess were Ryan Muenchow from Sigma Nu, and Catherine Miller from Sigma Sigma Sigma. The overall winners of Greek Week were Sigma Nu in first place, Alpha Chi Omega in second place and Sigma Sigma Sigma in third place. Mankato, Minn.— The Fraternity and Sorority Life Banquet was held in the Centennial Student Union Ballroom Sunday April 15 with attendees braving bad weather to make it to campus for the annual event. 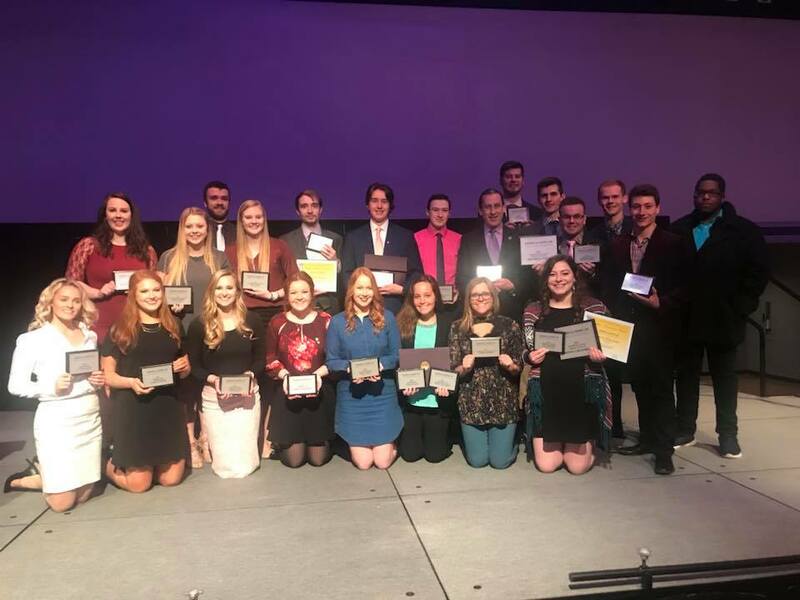 Individual and chapter awards, recognizing organizational and individual excellence, and contributions to both the Fraternity & Sorority Community and the Minnesota State Mankato Community were presented as part of the evening’s program. Highlights of the evening included the recognition of the Marie Bruce Fraternity Man and Sorority Woman of the Year. This award is the highest honor members of the Fraternity & Sorority Community can individually achieve. This year’s honorees were Alex Beck of Phi Delta Theta and Emily Sweeny of Gamma Phi Beta. Beck, a graduating senior majoring in Sport Management served Phi Delta Theta as both President and Recruitment Chairman. He later served the Interfraternity Council as its Vice President of Conduct Review. He worked as an intern with Minnesota State Athletics and will continue at MSU as a graduate student in the Sport Management program. Sweeny is graduating with a major in Dance and Sport Management. She served both Gamma Phi Beta Vice President and Panhellenic Council President. She plans to attend Mankato YMCA as a sports camp intern. For the prestigious title of Chapter of the Year, each chapter was evaluated on different criteria. The categories include Campus Involvement, Community Service and Philanthropy, Greek Community Involvement, Membership Recruitment and Retention, Risk Management, Scholarship, and Membership Education and Development. This award was given to the Phi Delta Theta and the Alpha Chi Omega.